Dandeniyage Somachandra de Silva (born 11 June 1942, in Galle) is a former Sri Lankan cricketer, who plays Test and ODIs. He is the first ODI cap for Sri Lanka as well. He bowled leg spin, and on the tour of Pakistan in 1982 he became the first Sri Lankan bowler to take five wickets in a Test innings. De Silva was educated at Mahinda College, Galle and at Prince of Wales' College, Moratuwa. Somachandra's elder brothers D. H. de Silva and D. P. de Silva were also Ceylonese first class cricketers. 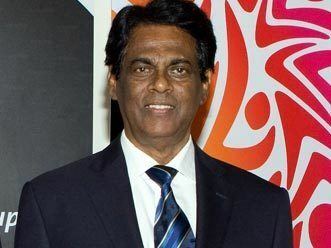 He had played internationals before, however, taking part in the 1979 cricket World Cup where Sri Lanka recorded their first international victory - beating India by 47 runs. De Silva took three wickets for 29, including Dilip Vengsarkar and Mohinder Amarnath, as India crashed to 191 all out. De Silva was in many ways unlucky - when Sri Lanka was finally awarded Test status, he was nearing his forties, which naturally shortened his career. 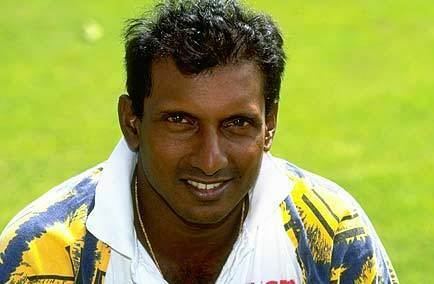 However, he played all the first 12 Tests that Sri Lanka played, before retiring at 42. Had he been ten years younger, he would perhaps have been more recognised as Sri Lanka's first genuine all-rounder - that title instead went to Ravi Ratnayeke. De Silva also played minor county cricket for Lincolnshire and Shropshire, and later became a coach of the Sri Lankan cricket team. He is currently the interim chairman of Sri Lanka Cricket. He captained the Sri Lankan cricket team for two Test matches in 1983, as the regular captain, Duleep Mendis missed the tour of New Zealand due to injury. De Silva enjoyed the captaincy, making two half-centuries and taking three wickets with tight bowling on pitches that didn't suit his bowling style. However, New Zealand won the series 2-0.